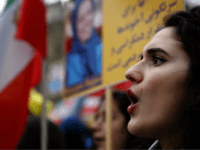 U.S. reimposes sanctions against Iran that ended with 2015 nuclear deal; Iran’s protesters blame bad economy on Supreme Leader, not on U.S. sanctions; The international demand for regime change in Iran. 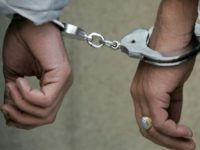 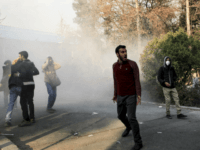 Iranian lawmaker Mahmud Sadeghi said on Tuesday that around 3,700 people have been arrested during the crackdown on anti-government protesters, a number far higher than Tehran’s official count of 450. 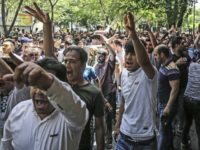 The Iranian government declared victory over the protest movement for the third time on Sunday, but the demonstrators keep coming back, and there are signs the regime is beginning to crack. 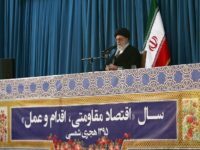 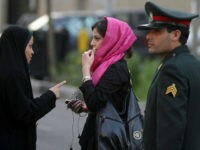 The Iranian regime’s High Council of Education has declared English will no longer be taught in either public or private primary schools, in order to combat a “cultural invasion” from the Western world. 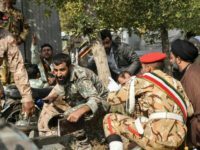 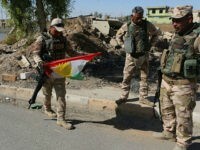 President Donald Trump expressed support for “the great Iranian people” on Monday morning as reports confirmed that 12 people have been killed in the Iranian uprising so far. 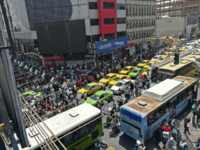 Thousands of protesters have taken to the streets of Iran over the past few days, speaking out against both the “hardline” government of the ayatollahs and the supposedly “moderate” secular government of President Hassan Rouhani. 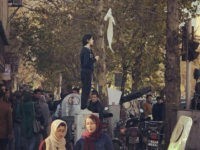 “Death to the dictator!” and “Death to Rouhani” are chants heard in at least eight Iranian cities, and the movement appears to be spreading. 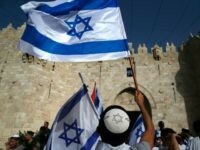 Prime Minister Benjamin Netanyahu reassured Diaspora Jews visiting Israel as part of the Birthright Taglit program that despite Iran’s most recent threat against Israel and the looming danger it still poses, the Jewish state will continue to stand strong. 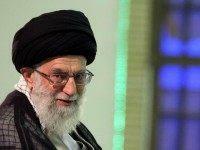 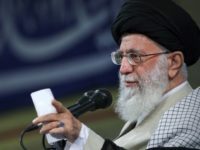 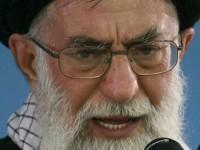 In a speech to graduating cadets of the Iranian Revolutionary Guards Corps, which is loyal to the ayatollahs rather than the secular government, Supreme Leader Ayatollah Ali Khamenei threatened harsh consequences for protesters who disrupt the presidential election in two weeks. 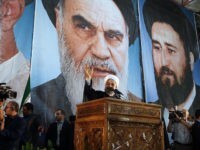 Iran’s presidential election is coming up on May 19. 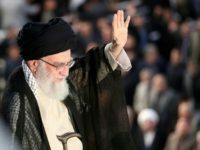 On Sunday, incumbent President Hassan Rouhani picked up a potentially formidable challenger, as imam Ebrahim Raisi announced his candidacy. 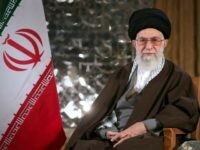 Iranian Supreme Leader Ayatollah Ali Khamenei slammed Saudi Arabia on Monday for allegedly tightening its ties with Israel.